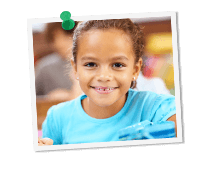 Grade Potential provides test prep tutoring for all levels of the Independent School Entrance Examination (ISEE). Because the score your child receives on his or her ISEE can play such a big role in school admissions, we’re committed to providing the personalized tutoring that empowers kids to reach their fullest potential. Our expert tutors understand both the material that’s covered on the ISEE and the best test-taking strategies to help kids perform well. Working with your kids one on one, we’ll help your child feel prepared for the ISEE, as well as confident to do his or her best. At Grade Potential, we work with students individually and on your schedule. We can come to your home or whatever location is best, and we can come at the time that’s best for you. What’s more, we work hard to make the best possible matches between tutors and students in order to ensure a good rapport that makes learning approachable and fun. Together we can help your son or daughter get into the school you want!